If you’re looking for a holiday where you can visit ancient sites, bask on beautiful, sun-splashed beaches or party the night away, check out our great range of Mexico holidays. The crystal-clear waters provide a stunning, submarine ecosystem for scuba divers and snorkellers to explore. If you want to kick your heels up and dance the night away, Cancún’s nightlife is world-renowned, with bars, clubs and some serious superclubs pumping out tunes into the early hours. 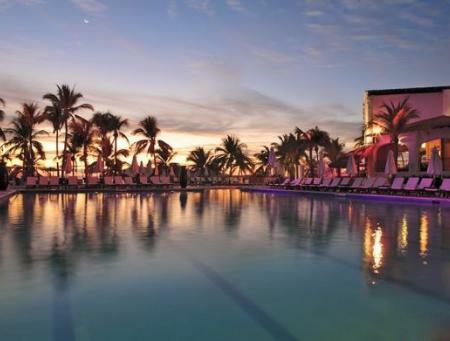 Holidays to Mexico are a paradise for beach lovers too. The warm Caribbean Sea laps at powder-soft sands, fringed by lush palm trees and vibrant rainforests. However, if you want to get a taste of Mexico’s magical past, unleash your inner Indiana Jones and pay a visit to the ancient Mayan pyramids, deep in the heart of the jungle. Mexico is 5–8 hours behind GMT/UK time, depending on location. Cancun is 5 hours behind. Weather in the coastal areas of Mexico is hot and dry between November and April, with temperatures blazing up to the mid-20s (°C) and without dropping below the 20s, even at night. The humidity level during these months is also quite high, but then drops around May time when the wet season begins (May to October). There are more than 60 indigenous languages spoken around Mexico (including Mayan dialects), but Spanish is the language spoken most widely.